If you’re planning to get away to coastal North Carolina this winter to play golf with your buddies you’re probably wondering how to find the best Sunset Beach NC golf courses in the area. Our easy to navigate Golf Course Directory makes it easy to see what is available and what it will cost you. When you want to save the most, check out the golf packages we offer. You’ll find those right here on our site, as well, and they combine both golf and your accommodations, to save you the most money and give you the cheapest rate around. 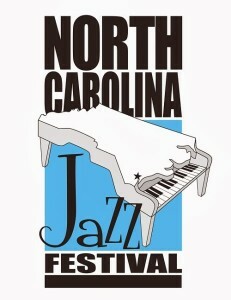 If you’re coming in the next few weeks don’t miss the 34th Annual North Carolina Jazz Festival being held from February 6-9, 2014, in Wilmington, NC. Evening concerts begin at 7:30 p.m. and area held at the Wilmington Hilton Riverside Ballroom. Styles of Jazz will open with Brazilian singer Maucha Adnet and a Tribute to Antonio Carlos Jobim on Thursday, Feb. 6. The second set of the evening will feature Wilmington’s own singer/piano-man/entertainer Grenoldo Frazier and his tribute to Louis Armstrong. Friday & Saturday evenings will feature our 13 All-Star Musicians in the traditional seven sets of six or seven players, each set with a different leader. This historic city located on the bank of the Cape Fear River has many interesting shops, art galleries, museums and restaurants, as well as a movie studio, nearby beaches, plus Revolutionary and Civil War sites to explore during your days here. We will fill your evenings with exciting performances by some of the greatest traditional jazz musicians from around the globe! Cost $15-$50. Location: Wilmington Hilton Riverside, 301 North Water Street, Wilmington, NC. Call 910-793-1111 if you have questions. When you’re ready to book your tee times on whichever of the Sunset Beach NC golf courses you prefer, you can do so on our site or by calling MBGolf at 800-422-1587 and we’d be happy to help you. 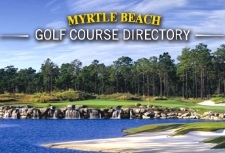 This entry was posted in Sunset Beach NC golf courses and tagged Sunset Beach NC golf courses. Bookmark the permalink.